Sojo University is a private university in Kumamoto city with a focus on Engineering, Computer Science, Biotechnology and Pharmaceutical Sciences. The Sojo International Learning Center (SILC) is a holistic language learning environment which was established in 2010 in order to promote the use of English across the university and to help students improve their communication skills. The center was developed through a collaborative project between The External Language Consultancy Center (ELCC) based at Kanda University of International Studies and Sojo University. All first year English classes are now delivered via the SILC and second year courses will be offered from 2011-12. 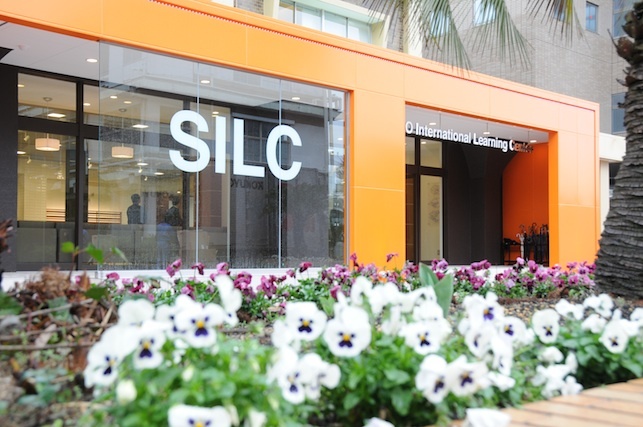 The SILC also houses a Self Access Learning Center which is open to the entire university community, including postgraduate students and teaching staff. The SILC enables students to pursue a personalized curriculum via classroom teaching interactive activities, self-access learning, and computer mediated communication. Based on their individual needs, learners determine their own goals and methods in collaboration with peers, learning advisors, and teachers. There are currently nine full-time teachers, two learning advisors, a full-time SALC manager, part-time staff SALC assistants, and a SILC general manager. The 11 teachers and learning advisors come from the United States, the United Kingdom, Australia, Canada and Japan. They each have extensive teaching experience and at least Masters level qualifications in the field of EFL. 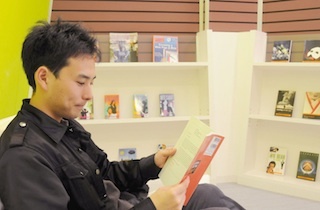 Seven of them were previously based at Kanda University of International Studies in Chiba. The SILC building has been completely refurbished with a focus on comfort and usability to make it as user-friendly as possible. In order to ensure that SILC users have an opportunity to actively develop their language skills through communication, the second and third floors of the SILC operate an ‘English-only’ policy. However, it is understood that it takes a lot of time and effort to develop language skills and plenty of support is provided to help students especially in the early stages. The first floor of the building is home to the teachers’ offices as well as the SILC café. It is a welcoming environment where students can come to eat lunch, relax with friends between classes, use the computers to complete assignments, or chat informally with teachers. The second floor houses the Self Access Learning Center, a state-of-the-art facility with a huge variety of resources including custom-made worksheets, movies, music CDs, speaking booths, computer software, graded readers, and a wide range of books, magazines and newspapers. 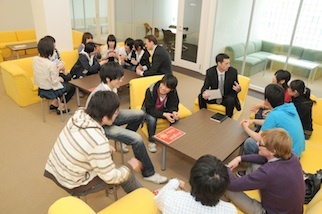 At the heart of the SALC is the Conversation Lounge, where students can talk informally to teachers and to each other, play computer or traditional games in English, watch television and access the Internet. The lounge also hosts a number of regular events including a monthly film night and weekly discussions on sport and music. A learning advisory service is available in the SALC in which learning advisors give students individualized advice about their language learning in order to help them set goals, select resources, reflect on their progress, and move onto the next level. On the third floor there are five dedicated classrooms, referred to as ‘Blended Learning Spaces’ in which desks and chairs can be moved freely around the room to accommodate a variety of groupings and activities. Each BLS is equipped with a full set of student computers running on English operating systems and headphones to facilitate listening activities. The computers allow the students to undertake research and compile documents and presentations in English as well as to communicate electronically via ‘Sojo-moodle’, the SILC’s online interactive learning community. English classes in the SILC are designed to help students increase confidence and motivation for using English by activating what they may have already learnt in school. They work in small groups on a variety of fun and engaging language-based tasks and learn to communicate effectively, research and present information in English and find out about other cultures. Students are assessed continuously through regular quizzes, homework activities, lesson participation and presentations as well as through a speaking test at the end of each semester. The English Communication curriculum is constantly evolving on the basis of action research being conducted in the SILC. Institutional research within the center focuses primarily on the implementation and evaluation of SALC resources and practices, the use of moodle and other electronic tools to support students’ learning and the effectiveness of the curriculum itself in meeting the needs of the students and supporting the five faculties.